The first signs are emerging that key Persian Gulf members of the Organization of Petroleum Exporting Countries (OPEC) are adjusting their strategies to cope with the growing threat that North American shale oil is making to their long-term dominance in global energy markets. The OPEC moves lag behind other international players such as Statoil and Sinochem, who are staking out a major stake in the U.S. shale industry but provide the first insights on how major oil producers might respond over time to the possibility of a future supply glut: Integration through foreign investment. The U.S. Energy Information Administration (EIA) tallies that 20 percent of the $133.7 billion in investment in U.S. shale plays between 2008 and 2012 included joint ventures by foreign companies. In 2013, China’s Sinochem entered into a $1.7 billion venture with Pioneer Resources for a stake in the Wolfcamp shale. Liquefied natural gas (LNG) powerhouse Qatar Petroleum (QP) might be next, according to Middle East Economic Survey. QP is considering investment in Canadian or U.S. shale upstream assets as a price hedge for its planned investment along with ExxonMobil to convert the Golden Pass LNG import terminal near Port Arthur, Texas, to an export facility. The QP strategy mirrors Statoil, which aimed to sustain a high growth path through diversification to foreign investment as it hit up against production constraints inside Norway. Qatar is facing possible long-term decline in its future crude oil production as well as an extended moratorium on further development of the massive North Field natural gas field. Saudi Arabia can also tap its ongoing downstream investment and integration to protect its exports from shale oil competition. The expansion of Saudi Aramco’s joint venture Motiva refinery in Port Arthur, Texas, gives the Saudis leverage to try to maintain their geopolitically prominent, one million barrels a day plus crude exports to the United States even in the face of rising supplies from U.S. shale oil and Canadian oil sands. Saudi Arabia can ill-afford to get knocked out of the U.S. crude oil market at this delicate time when U.S. support could be more critical to the kingdom’s future. Saudi Arabia is also pursuing shale resources at home, which Baker Hughes estimates to be as large as 645 trillion cubic feet. Saudi Aramco has committed $9 billion to pilot projects such as the Quesaiba shale and the Nafud Basin north of Riyadh. Kuwait has been more cautious in its response to the shale boom but its investment arm Aref Energy Holding Company has dabbled profitably in U.S. shale asset investment. Kuwait recently announced it will be studying its own shale resources at home. 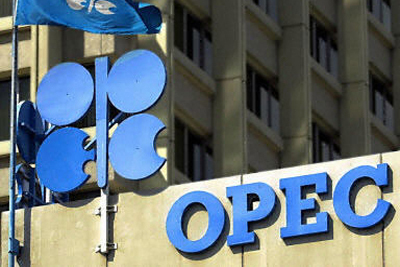 Back in the 1980s, vertical integration was a key strategy employed by OPEC’s largest producers to cope with the encroachment of rising non-OPEC production and a related price collapse. The question remains whether the market is about to see a déjà vu or whether geopolitically-driven supply disruptions from traditional production regions like the Middle East or Venezuela will be enough to keep markets balanced in the coming years in the face of new supplies from North America and Africa.